Popeye might not have been successful, but school garden programs do get children interested in eating spinach, along with other vegetables. 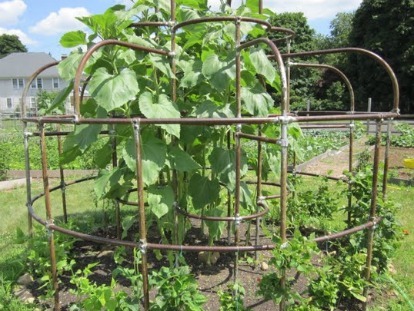 Across the country there are federal and state run programs to create gardens in schools. These programs are bringing youngsters into the garden and teaching them about animals, vegetables, and fruits. Introducing children to farming gets them active, creates positive habits and encourages them to be excited about eating healthy food. Not only do school gardens benefit the children, but they also benefit the local community. 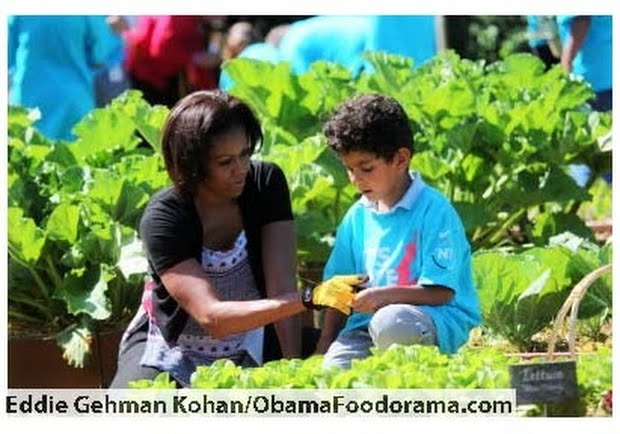 Michelle Obama is leading a national movement, Let’s Move, that includes bringing students into the White House Garden to help plant and harvest food. Students from Bancroft Elementary School and Harriet Tubman Elementary School helped plant the garden this past spring. Their parents have noticed differences in their eating behaviors: the kids are trying new vegetables and eating more of them. Not only are parents saying that gardening has changed their kid’s attitudes toward vegetables, but so is the scientific community. Ratcliffe, Merrigan, Rogers, and Goldberg (2011) found that school gardens improve a child’s attitude toward vegetables, willingness to taste vegetables, and the rage of vegetables they are willing to eat. Teaching kids to eat more healthy food is just one thing that school gardens teach youngsters. 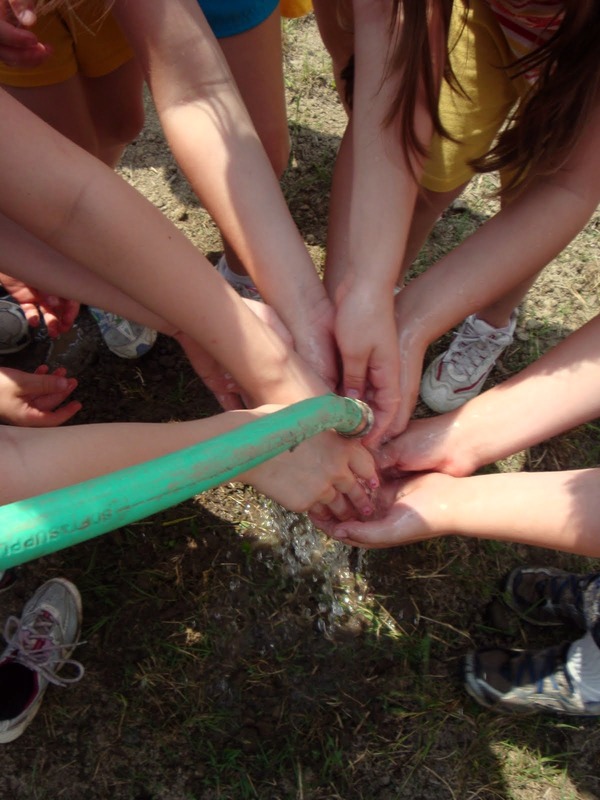 School gardens can also be used as an interactive, hands-one learning environment. Sealy (2001) investigated how school gardens allow children to draw on real-life experiences which allows them to become active in the learning process and it stimulates the interest in a subject. For example, teachers use school gardens to teach planning, problem solving and art skills all in one lesson where the kids draw up a map of how they would organize the vegetable patch according to the sunlight available in different areas of the garden. School gardens also allow students apply their knowledge about the plant and animal life cycles that they learned in the classroom. Gardening allows students to bridge the gap between abstract academic concepts and their real life experiences. 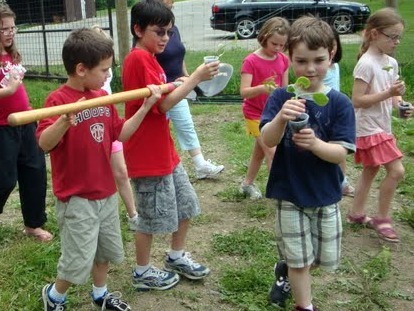 Lieberman and Hoody’s (1998) research shows that 96% of teachers report students in school garden programs have higher-level cognitive abilities than the traditional classrooms. School gardening can be implemented into the curriculum to improve student’s learning. The produce grown at school gardens is often given back to the local community. At many elementary schools, the food that is grown in the garden is cooked in the cafeteria so students throughout the school have healthier, fresh food which helps them concentrate better during school. Urban Farms is a non-profit that transforms urban spaces into gardens and has transformed a former school yard into a living classroom at The Urban Farm at Lafayette. The produce from the garden is donated to the District to cook in the cafeterias and it is also donated to local food banks. The gardens are not only teaching students valuable lessons, but they are also improving their local communities. As Michelle Obama explains, “you can affect children’s behavior so much more easily than you can adults’.” Implementing school gardens can change a student’s behavior at an early age to create healthy life-long habits. Children learn to love vegetables, appreciate farms and farmers and form positive habits. With the right encouragement and teachers, bringing kids to the garden will be an important step to changing the habits of the kids and introducing them to a new way of thinking about food. This entry was posted in Food Warrior Interns, On the Playground (kids) and tagged food warrior interns, healthy food, jess halter, kids, Let's Move, michelle obama, Real Time Farms, school gardens, urban farm at lafayette. Bookmark the permalink.